Often, athletes like to push the envelope, they know how to push themselves hard during workouts, hitting the drills perfectly to make gains in their current fitness. But, did you know that recovery plays even more of a role to your fitness improvements than your workouts? Here is why. The body cannot recover while under stress. And can only recover from workouts and get stronger, faster, and better through rest, which will allow for adaptation. 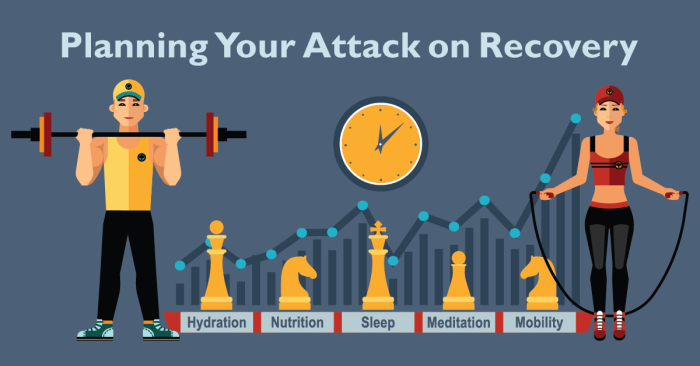 Yes, you may have stressed the body enough to get that boost in VO2 Max, Neuromuscular Power, Endurance, Sustained Power, or whatever the goal of the workout was to increase, but without sufficient rest, the body cannot properly recover. For a little while an athlete may get away with constantly pushing the body to new levels, but as intensity or volume increase, if the body is not well recovered something will happen. Usually this presents itself in the athlete either getting a) sick, or b) injured. Below, I have listed out a number of warning signs which might mean your body is under a lot of stress and you might be over-training. When discussing these issues with a good coach, you should be able to pinpoint exercise behaviors, and create a recovery plan. A coach will be able to organize a recovery plan to help you back down some of your training load without sacrificing fitness, and allow your body to recover from the stress it has been under. At EventHorizon Endurance Sports we offer unique one-on-one training to help athletes reach their goals, we employ recovery tactics and can help athletes balance their training to get the proper recovery their body needs. If extended recovery is in store, we will work with the athlete to build a plan to help the athlete bounce back from some downtime to get them back on track to their current goal.